Davis, Calif., March 23, 2017… Viticulture Farm Advisor Larry Bettiga of the University of California Cooperative Extension, Monterey County, will be this year’s recipient of the American Society for Enology and Viticulture’s (ASEV) Extension Distinction Award. This honor recognizes a current extension educator for outstanding contribution to an extension program or the advanced translation of novel research findings into commercially applicable tools for enologists or viticulturists. Mr.
DAVIS, CALIF., July 18, 2016…Nichola Hall of Scott Laboratories has been confirmed as the American Society for Enology and Viticulture (ASEV) 2016-2017 president. 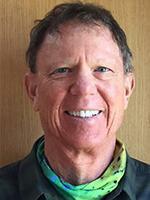 She succeeds Mark Greenspan of Advanced Viticulture, Inc. to lead ASEV’s 11-member board. 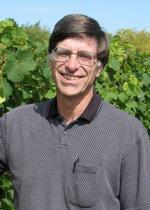 DAVIS, CALIF., May 13, 2016… Enology Professor Emeritus Dr. Bruce Zoecklein of Virginia Tech will be this year’s recipient of the American Society for Enology and Viticulture’s (ASEV) Extension Distinction Award. This honor recognizes a current extension educator for outstanding contribution to an extension program or the advanced translation of novel research findings into commercially applicable tools for enologists or viticulturists. Dr. Zoecklein will share his presentation, “In Vino Veritas and Jefferson’s Dream,” on June 29, 2016, at the 67th ASEV National Conference in Monterey, California. 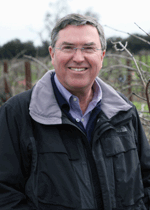 DAVIS, CALIF., May 9, 2016…Professor and biochemist Douglas O. Adams of the University of California, Davis, has been confirmed as the recipient of the 2016 Merit Award, the American Society for Enology and Viticulture’s (ASEV) highest honor. He will be sharing his presentation Representations and Interventions in Growing Grapes and Making Wine at the ASEV’s 67th National Conference in Monterey on June 30, 2016. DAVIS, Calif., April 6, 2016…The American Society for Enology and Viticulture (ASEV) has selected the recipients of the 2016 Best Paper Awards. The selected authors will be presenting their papers as keynote presentations at the Society’s 67th National Conference on June 27-30 in Monterey, California. 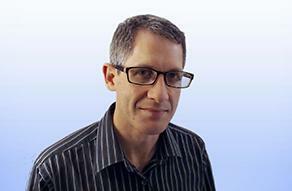 ASEV is pleased to welcome Daniel Friedlander as the new Publications & Technology Coordinator. Daniel’s main responsibilities are to maintain ASEV’s brand in all of the communication channels including websites, publications (non-scientific), and promotional materials. Additionally, he’ll oversee meeting presentations and signage, maintain databases, and provide IT support for the organization. Experienced in various graphic design-related areas, Daniel’s technical background includes web development, networking, and troubleshooting. 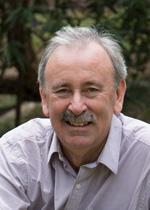 He brings an array of skills to complement the growing needs of ASEV. Daniel has a design degree from Western Washington University and speaks fluent Spanish. Presented since 1995 by two nonprofit organizations, the American Society for Enology and Viticulture (ASEV) and the California Association of Winegrape Growers (CAWG), the Unified’s growing importance highlights the wine industry’s critical need for current data and information. 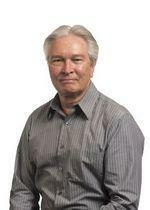 DAVIS, CALIF., January 6, 2016….The highly respected American Journal of Enology and Viticulture (AJEV) will soon have a sister publication that picks up where AJEV leaves off. The American Society for Enology and Viticulture (ASEV) is moving forward with plans to publish a second journal, Catalyst: Discovery into Practice, to bridge the gap between basic research and the practical application of that science. The member-exclusive, peer-reviewed online publication is slated for release in June 2016. We are pleased to offer the Call for Abstracts for the 67th ASEV National Conference in Monterey, California USA. We encourage submitted abstracts based on original research and research updates in all areas of viticulture and enology. Abstracts related to water management are also encouraged. The national conference provides a forum for the presentation of research in the fields of enology and viticulture or related sciences. An abstract can be submitted independent of publication of a paper and we welcome abstracts for both ongoing and completed research projects. ASEV is seeking candidates for a Technical Program Director (TPD). The TPD is a volunteer position appointed by the Board of Directors for a three-year term and is responsible for shaping and delivering relevant technical content that impacts many sectors of the wine and grape industry, including winemakers, viticulturists, university researchers, students and other professionals. The TPD is tasked with guiding the ASEV’s Technical Program Committee on the development of technical projects such as symposia, workshops, seminars, and sessions for the National Conference. Candidates must have a strong interest in fostering a technical program platform that disseminates both fundamental and applied research to the professional wine and grape industry. Qualified candidates can submit their resumes by January 6, 2016. This year’s 66th ASEV National Conference delivered a full menu of both technical information and fun in Portland, Oregon. A highlight this year was president Lise Asimont’s heartfelt traditional Polynesian dance for Lyndie Boulton. Additionally, there are some great photos of the 2015 conference you will want to check out too. Mark Greenspan, president of Advanced Viticulture Inc., has been confirmed to serve as the American Society for Enology and Viticulture (ASEV) 2015-2016 president. Greenspan succeeds Lise Asimont of Francis Ford Coppola Presents to lead ASEV’s 12-member board. 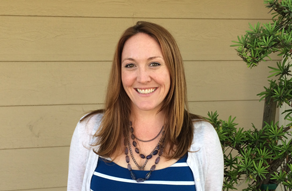 ASEV welcomes Jen Smalley, our new event and meeting planner. Prior to joining ASEV, Smalley managed events and coordinated unique wine experiences during her 11-year career with Silverado Vineyards in Napa. She organized and oversaw tastings, specialty tours and wine club events, as well as corporate and private events. Additionally, she mentored and trained staff for hospitality events, brand promotion, and company procedures.